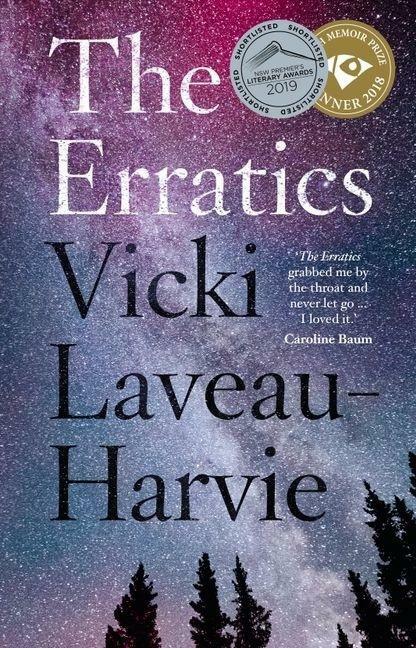 The Erratics is an intensely gripping, yet black-humoured family memoir, which follows Laveau-Harvie as she is summoned to her estranged parents' isolated ranch home in Canada after her elderly mother is unexpectedly hospitalised. Upon her arrival, she is horrified by the neglect she discovers. What ensues is a power play between her parents that takes a dramatic turn and leaves Vicki stuck in the middle of a bizarre family dilemma. You can read an interview with the author on the Stella Prize website. Vicki Laveau-Harvie is a former academic and translator. She lives in Gordon, Sydney, where she is working on a collection of love poetry, and encouraging the beginnings of a novel about betrayal of trust and vineyards. The Erratics is her first book. As the 2019 winner of the Stella Prize, Laveau-Harvie will receive $50,000 in prize money, while the five other shortlisted authors (Jenny Ackland, Enza Gandolfo, Jamie Marina Lau, Melissa Lucashenko and Maria Tumarkin) will each receive $3000.